Perfect for a meal outdoors in the brisk autumn air. By the time Sukkot arrives, and we are three weeks into nonstop Jewish holiday mode, some people might be a little tired of cooking. I don’t blame those people one bit. But Sukkot is probably my favorite holiday of the season to cook for – I love sitting outdoors in the brisk autumn air, enjoying harvest-inspired dishes with friends and family. This dish is both (pretty) easy and totally unique and delish. The husband, who is by far my harshest critic, was in love with this recipe and begged for me to make another batch. Burekas are an easy appetizer to throw together using store-bought puff pastry. If you don’t like ground lamb, substitute ground beef. 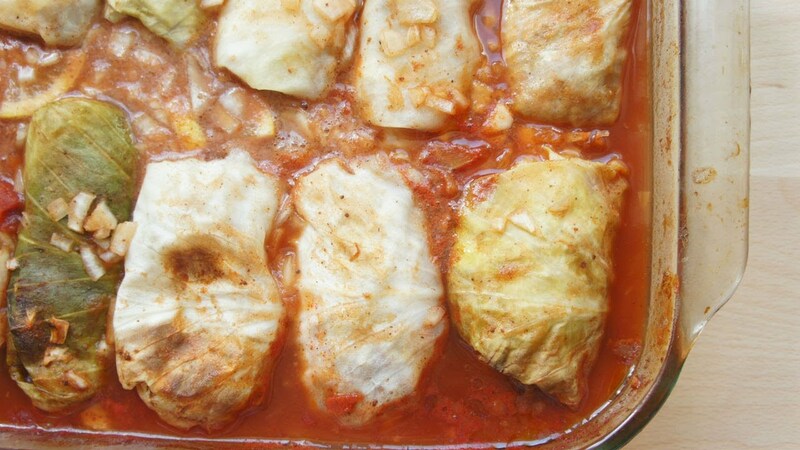 You can also make a vegetarian version by using tofu or feta cheese with the squash. You can make burekas ahead, freezing them once they are assembled, but before the egg wash.
Before the holiday or when ready to bake, glaze with egg wash and pop in the oven per directions below. They also reheat well in the oven at a low temperature and can even be served at room temperature. Scoop one heaping tablespoon into the corner of each square. Fold puff pastry over filling, forming a triangle. 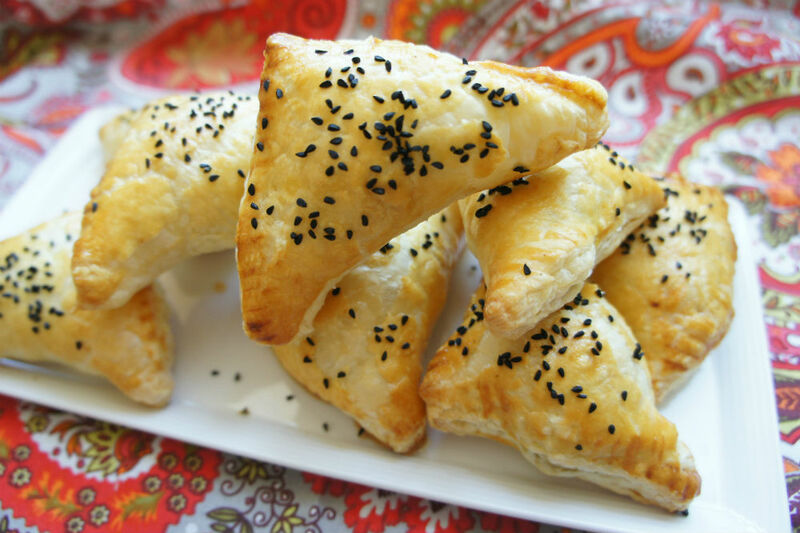 Brush each bureka with beaten egg. 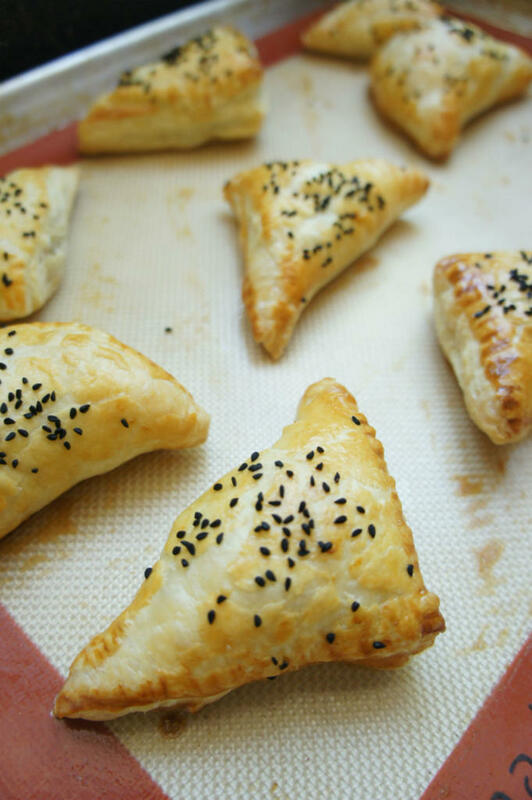 Top with sesame seeds, nigella seeds or poppy seeds if desired.